LOVE THY NEIGHBOR: Michelle DellaFave (left) and Lindsay Bloom (right), who first bonded as Dingaling Sisters on The Dean Martin Show in the early 1970s, and remain Blue Eyed Soulmates to the present day, are seen getting ready to pay a call on the folks at the Mary E. Walker House, one of several destinations on the gals’ itinerary during their recent trip to Pennsylvania. 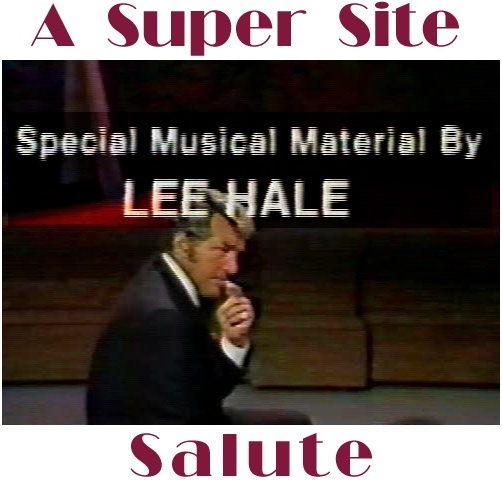 Traditionally, when one thinks of such legendary female singing- and-dancing troupes as The Golddiggers and The Dingaling Sisters, what likely leaps to mind are images of beauty, glamour, and opulence, and of the ladies sharing the stage with stars on the order of Dean Martin, Frank Sinatra, and Bob Hope. So it naturally follows that these kinds of tony images would be exactly the type that one would readily associate with two of the most prominent and elegant exemplars of the Golddiggers/Dingalings ideal — Dean Martin Show alumnae Michelle DellaFave and Lindsay Bloom. Indeed, those two baronesses of style and sophistication, both onstage and off, would be the first to acknowledge that they have been blessed many times over in their lives. During their tenure on The Dean Martin Show, and in the years both before and since, they’ve traveled in some of the loftiest circles of show business and enjoyed a hearty taste of la dolce vita. Each broke into the entertainment industry at a relatively young age, with talent, looks, poise, and charm that earned them plum spots early in their careers on the high-visibility perch of prime-time television. Subsequent pursuits enabled them to expand their creative horizons and achieve further success, and each gal eventually went on to start and raise her own family. As is true for everyone, Michelle and Lindsay have experienced heartaches and tragedy as well as triumphs and joy; but on balance, life seems to have dealt each of them a pretty favorable hand. So when they decided nearly a year ago — more than three-and-half decades after last working together as part of the final set of Dingaling Sisters — to reunite professionally under the banner of Blue Eyed Soul, they wanted this new chapter in their lives to be something more than just a rerun — that is, to go beyond merely a return to playing Vegas or trying to rebottle the same formula that proved popular in the past. After all, they had already reached the summit of their field, on television and on tour. At this stage, they felt that it was the right time to take their accumulated skills and give back something of themselves to those who’ve given so much for their country. Needless to say, they’ve more than fulfilled those good intentions, performing for months now in front of packed audiences of Veterans and their families, in addition to members of the general public, as chronicled here on The Golddiggers Super Site and on Blue Eyed Soul’s own website. ON THE ROAD AGAIN: The grins seem to grow broader with each successive outing, as Michelle, Lindsay and their Manager, Wes Guidry, continue to bring warmth, smiles and entertainment to Veteran and civilian groups around the country, upholding the heritage and fond memories that people have of The Golddiggers, Dingaling Sisters, and Dean Martin everywhere that they go. Recently, guided once again by their Manager, Wes Guidry, Michelle and Lindsay embarked on another mission, this time reaching out to Vets living under challenging circumstances — some who are trying to heal, some who are no longer able to care for themselves, and some who ran into misfortune in their lives after their active duty ended, but who are now seeking a fresh start. Ground zero for this latest undertaking by the girls was the VA Medical Center in Coatesville, Pennsylvania. The first stop was an auditorium on the hospital grounds known as “The Great Hall”, where the Blue Eyed duo was greeted by a large and enthusiastic crowd of patients, their families, staff and other attendees. Next up was a 3-song mini-concert in the dining hall for Vets residing in the medical center’s nursing home facility. GOD BLESS AMERICA: Michelle and Lindsay perform their standard closing number in the Great Hall auditorium of the Coatesville VA Medical Center. This tour, as with previous ones headlined by the ladies, was underwritten by the Veterans Support Foundation, with sound equipment provided by HBO. FLY LIKE AN EAGLE: (above) Michelle and Lindsay proudly show off Marine Corps logos with their names emblazoned on them, presented to them by Larry Zok (below), the USMC Vet who organized August’s Marine Helicopter Assn. Reunion, where the girls played to an overflowing crowd of 1,500+. RHODA MORGENSTERN, PLEASE COME TO THE COURTESY DESK — WE’VE FOUND YOUR BANDANAS: Michelle and Lindsay take their audiences on a magic carpet ride back in time and bring joy to their world. But it was the final leg of the journey that perhaps touched Michelle and Lindsay the most — a visit to the Mary E. Walker House, a transitional residence for homeless female Veterans. HOME IS WHERE THE HEART IS: The Blue Eyed Soulstresses flank Marsha Four, a Vietnam Veteran and the program director of homeless services at the Philadelphia Veterans Multi-Service & Education Center, which runs the Mary E. Walker House, a transitional housing center for women at the Coatesville, Penn. VA Medical Center. At each of their three appearances in Coatesville, Michelle and Lindsay went well beyond making the usual celeb rounds, spending a considerable amount of time not just signing autographs, but also chatting with and comforting those whom they met. At Walker House, however, they went even further, engaging in a group discussion with some of the residents and hearing first-hand about the experiences that brought them to where they are. Through it all, Michelle and Lindsay found in these women the sort of grit that no doubt motivated them to join the military, and a determination to overcome their present hardships and get back on their feet. In turn, the residents seemed genuinely moved by Michelle and Lindsay’s interest in them, and curious about how the two performers had dealt with difficulties in their own lives. As might be expected, the inspiration seemed to flow in both directions. DREAMS BROKEN IN TWO, CAN BE MADE LIKE NEW: Marsha Four (above, second from left, in the red sweater), Director of Walker House, stands with some of the residents and staff of the facility, which is situated amid picturesque greenery, and can currently accommodate 30 residents at a time. 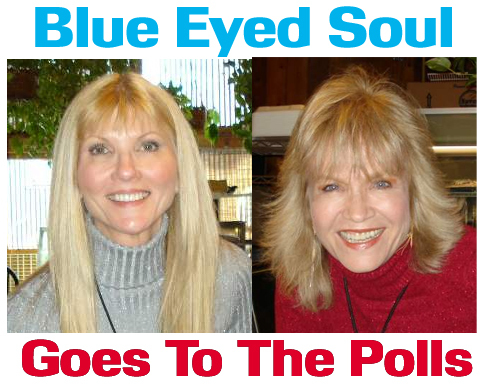 Yes, the women of Blue Eyed Soul have had it good: A glorious legacy, renascent careers, an album coming out soon, and a DVD on the way, too. They embrace their success and their good fortune as much as anyone should or would. But they also know that fortune can be capricious and won’t prove satisfying in the long run unless it’s accompanied by making a difference in the lives of others upon whom fortune may not have smiled so graciously. Fortunately for all of us, hope, compassion and humanity are qualities that — along with their talent and beauty — Michelle DellaFave and Lindsay Bloom have in abundant supply. Poor, no one is poor…As long as love is sure…On the Street of Dreams. Comments are always welcomed. To leave one, please visit the Comments section and look for the appropriate button a few paragraphs down from the top of the page. This entry was posted on Sunday, October 19th, 2008 at 8:39 am and is filed under Uncategorized. You can follow any responses to this entry through the RSS 2.0 feed. Responses are currently closed, but you can trackback from your own site.